I'm developing project with your osm soft. Now i have the problem with slow rendering or not rendering tiles. Can it cause to many requests from 1 ip address? Or some other reason? You'll need to provide more information about what you're doing. Is this a tile renderer you've set up yourself (and if so, which one and how did you set it up? 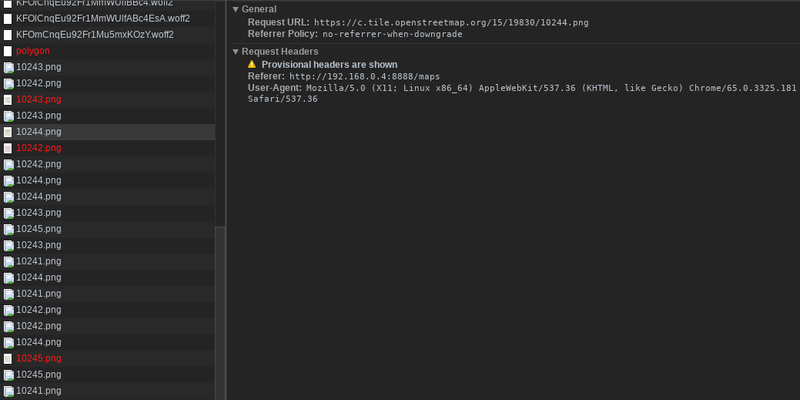 ), or are you using an existing rendering service? We'll also need to know how you're using the tiles (e.g. in an app, a website, etc.). My project is under angular 6. I'm using leaflet library as ng module. But settings is simple and similar as here. But sometimes tile loading is very slow or even not loading. If you retry one of the failing tile URLs (e.g. 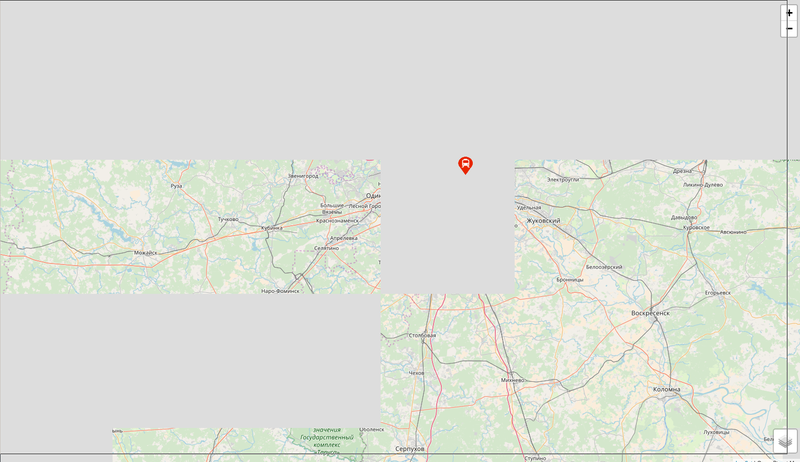 https://a.tile.openstreetmap.org/9/255/169.png ) does it work? 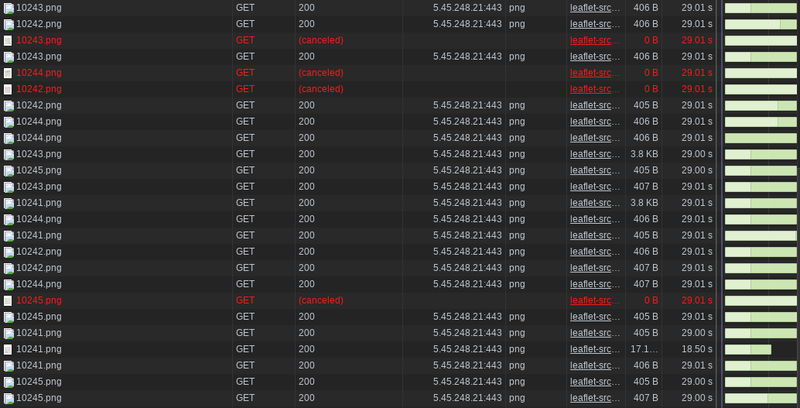 If so I'd suspect the network connection between your server and the tile cache. OK, I'd track that problem down first then, trying to find the "part of the network connection that makes things slow". There's a bunch of stuff in the OSM wiki that explains how the tiles are rendered (from where and for where). Is there something new about my problem? Hello there. Just wanted to add that I use OSM frequently and the same issue has been happening for me very often lately. The tile server often responds with status codes 504 and 502, and sometimes 500 and even 404 (!). This has been going on for a few weeks at least, so I don't think it could be any kind of maintenance. And looking at the screenshot the author posted in the OP, we are probably from the same region/country, so we both must be served by the same tile server. Sometimes the tile server returns an error message (example), so it's definitely not a problem with my connection.